The Pacific Islands Climate Education Partnership (PCEP) is part of a regional effort to raise awareness of climate change among communities in the Pacific Islands. It has set a series of goals and strategies to develop the skills necessary to empower students and citizens to mitigate and adapt to the impacts of climate change. As one of the PCEP’s partners, the Centers for Ocean Sciences Education Excellence (COSEE Island Earth) is taking part in the Learning and Teaching strategy and professional development program to increase educators’ science, technology, engineering and mathematics (STEM) pedagogical content knowledge and skills of climate science and adaption. Communicate climate change science clearly and effectively to students. Develop the students’ capacity to critically think about climate change information. Navigate resources available to select accurate and reliable information to remain up to date. 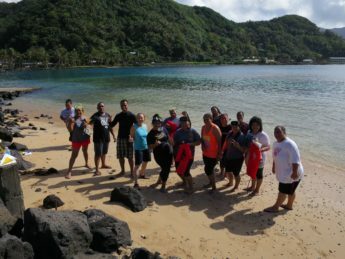 We have put together the main resources the Climate Science Teacher Institute has used for its three climate change workshops in the Pacific islands: Hawai‘i, the Marshall Islands and American Samoa. We have also included an example of the agenda for a five day workshop.